tariqmsabi 11 months, 3 weeks ago. 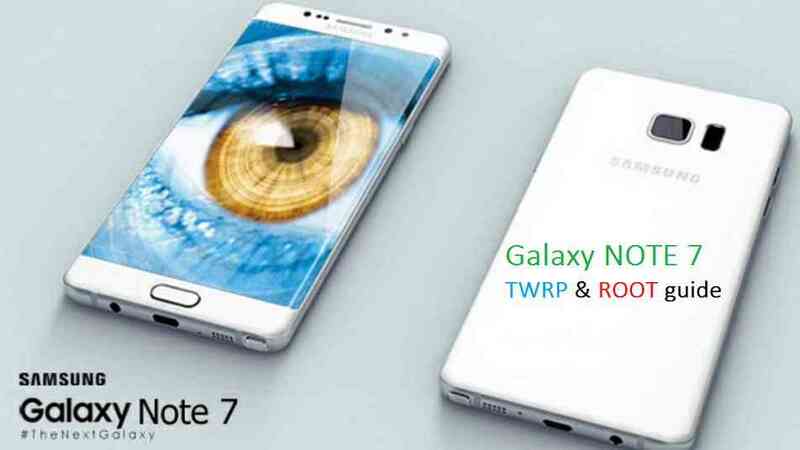 This guide explains how to root Galaxy NOTE 7 and how to install a TWRP custom recovery on the Galaxy NOTE 7 (SM-N930F). The TWRP recovery is brought to you by developer HostZero. A custom recovery is the world to some beautiful custom ROMs for your device. If you agree with me then you do understand the need of a custom recovery for a device. Samsung Galaxy NOTE 7 was recently released to market and today we have the TWRP custom recovery for that. With this first custom recovery you will also see some custom ROMs like Cyanogenmod 13, CyanogenMod 14, Android Nougat ROMs, Paranoid Android and more for Samsung Galaxy NOTE 7 in near future. Installing custom recovery on your device may VOID your warranty and may delete all your data. Before proceeding further you may consider backup your all data. Understand the fact that you are the only person responsible for everything that you do with you device. If you blame me for a disaster that happened to your device then I will simply laugh at you. Download the TWRP image for Galaxy NOTE 7 from the above Downloads section. Now download and install the ODIN Samsung flashing utility. make sure that you have installed the TWRP recovery on Galaxy NOTE 7 otherwise the following rooting guide will not work. Download and Copy the stable SuperSU ZIP file to the NOTE 7. – Here is a post explaining how to ROOT an Android phone using TWRP recovery. If you have any concerns regarding this guide then you can login to the forum and leave a reply to get an instant reply from us. Stay tuned or Subscribe to the Galaxy NOTE 7 forum For upcoming Android Nougat ROMs, CyanogenMod Custom ROMs, other ROMs and all other device specific topics.